THE INFORMATION BELOW IS FOR INFORMATIONAL PURPOSES ONLY. 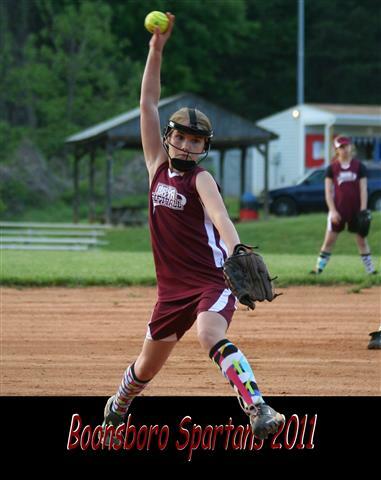 WELCOME TO BOONSBORO SOFTBALL !! 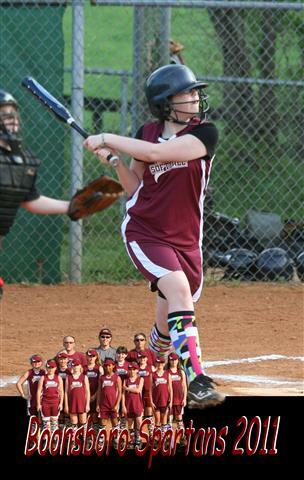 BRYA offers softball for children as young as seven. We have one field dedicated to softball and we share a batting cage with a static pitching machine and a portable pitching machine (electric) with the baseball teams. While a spring assisted pitching machine is used for younger children, the electric pitching machine is an excellent tool for older girls. • County rules followed by Dixie softball rules. • 5 Innings or 2 hours of play (whichever comes first). • 10 children play on the field (1st, 2nd, short stop, 3rd, pitcher, catcher, and four evenly spaced in the outfield). • Every other inning a pitching machine is used instead of a child pitching the ball. • The pitching machine is used in the 1, 3, and 5 innings. A player pitches in the 2 and 4 innings. • The pitching plate and the pitching machine should be setup at 30-feet. • No sliding permitted either. • The entire team rotates through batting. • Four walks by the pitcher and the pitching machine is brought in. • Batters get five attempts on the pitching machine. longer and heavier the bat. Tball bats will be sufficient and possiblly a better fit for smaller or younger children. • An 11" safety softball is used. These are softer. • Four walks by the pitcher in a inning does not matter. • Three strikes or five balls per batter. 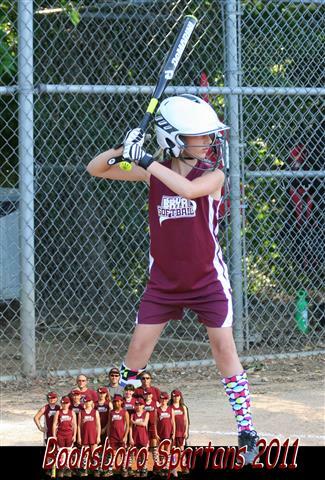 • Must provide other team with batting order and jersey number of each child prior to game starting. • Record of who pitches is kept and signed by opposing coach. • Pitcher is permitted to pitch 7 innings per week. • Pitching plate is set at 35-feet. longer and heavier the bat. A bat that weighs 16oz will be light for most children in this league. • An 11" hard softball is used. 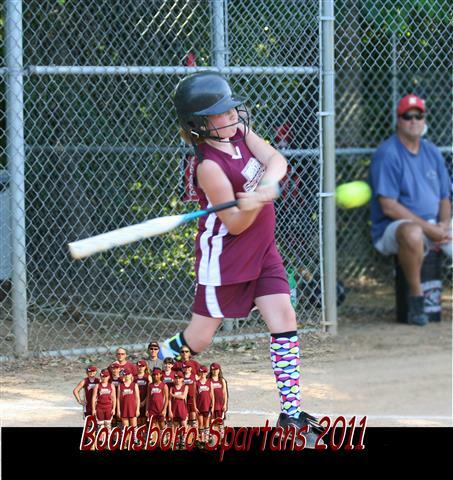 Same size as 7-8 league but the softball is hard. • 9 children play on the field (1st, 2nd, short stop, 3rd, pitcher, catcher, and three evenly spaced in the outfield). • Pitching in all five innings. • In regular season most teams and umpires played the 9th batter rule. In AllStars, we played until three outs! No 9th batter rule in Allstars. • An 12" hard softball is used. This information is always subject to change based on County and Dixie rules. Over the years children playing sports will get a lot of trophies. One year posters were created for the 2011 team. Below are pictures representing what each of these looked like.